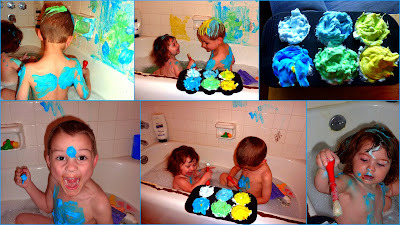 Take shaving cream and add food color to it. 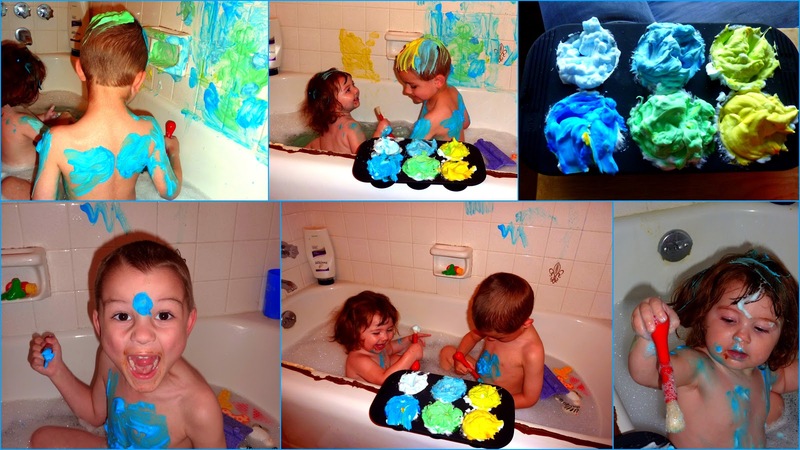 Put it in a cupcake tray, give the kids paint brushes, and let them play! It was so much fun. If you have kids, you need to do this. It washes right off and didn't stain the tub (or the kids). Do it! !